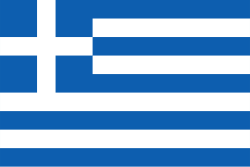 The Greek flag features nine horizontal stripes of alternating colors. These stripes are said to symbolize the nine syllables in the Greek phrase that translates to mean “Freedom or Death.” These stripes are also believed to symbolize each letter in the Greek word for “freedom.” However, some believe that the stripes represent the nine Greek muses. 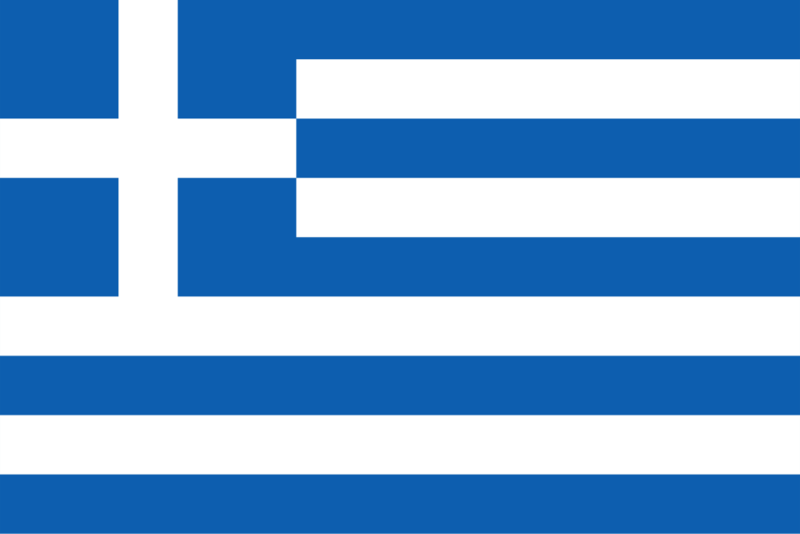 There are just two colors used in the design of the Greek flag. The flag consists of nine horizontal stripes. These stripes alternate and there are five blue stripes and four white stripes. In the canton area, there is also a design of a white cross on a blue background. The color blue – which has changed throughout the years – is said to represent Greece’s sky and sea. Flags were used in Greece for many years, although they were not the official flags that we think of today. Typically, banners, emblems and symbols were used by armies. A flag that was used by the Byzantines that dates back to the 14th century is one of the earliest flags discovered in this area. It was during the Ottoman period that flags became more prominently used, although there was not an official flag. Many Greeks opted to use the Byzantine flag feature a double-headed eagle, saints and mottos. Flag designs that are thought to be the inspiration for the modern flag of today were used prior to the 18th century. For example, it is known that the blue cross on a white field was used during the uprising of 1769. During the uprisings, the white cross on a blue field also appeared on flags of the Greeks and was used as a local symbol. It was during the 19th century through the early days of the Greek War of Independence that various flags were proposed and used by local leaders and councils. It was in 1822 when the Provisional Government designed the exact pattern for a cross that was used as a naval ensign. This flag was used from 1822 through 1969 and again in 1975 through 1978. In 1978, the official flag that is still used today became the sole national flag of Greece. The flag was officially adopted on January 13, 1822. At the time, it was used as a naval ensign. The colors of blue used have varied from light blue to dark blue throughout history.